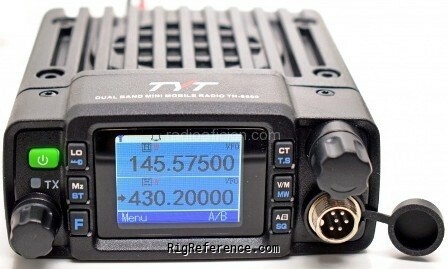 The TH-8600 is a powerful dual band, dual display and dual standby transceiver with 20 watts of power on 400-470MHz UHF and up to 25 watts on 136-174MHz VHF frequencies. It has 200 programmable channels and four programmable function keys so you can maximize flexibility and minimize distraction while you operate RX/TX at the wheel. The TH8600 features CTCSS and DSC encode/decode, DTMF encoding/decoding, priority channel scanning, and dual band reception. It also features 2Tone/5Tone decoding and encoding, remote kill/stun/activate and a 1750Hz burst tone. Estimating the value of a rig can be challenging. We collect prices paid by real hams over the years to help you estimate the current value of the TYT TH-8600. Just bought or sold this model? Let us know what you traded it for and help other ham operators!